My pregnant wife is practicing her swaddling. This cat is the “baby”. 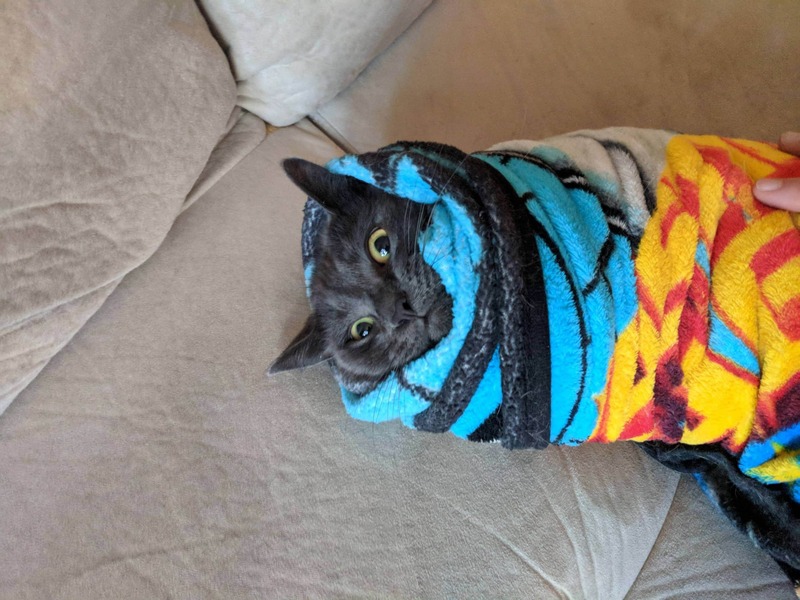 Sometimes cats have to be swaddled in order to get the medication in the cat’s mouth. Once they are wrapped up they accept the extra layer and often emit funny noises. This is fairly standard practice for vets who need to examine uncooperative pets.